Get the smile you have always wanted, at a price you can afford. 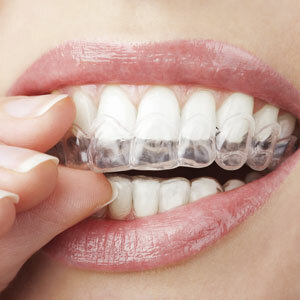 Invisalign® offers a discreet clear solution to align your teeth into the desired place. Enjoy the ease of these plastic aligners that will help renew and unveil your best smile. Invisalign® treatment is ideal for busy schedules as you’ll only need to visit your dentist every six to eight weeks during treatment. Ready to straighten your smile? Say goodbye to braces and hello to a beautiful new smile! Get the smile of your dreams – call (07) 3879 8999 or book your complimentary consultation online now! Invisalign® clear braces are the perfect choice for all ages. They come with an individual treatment plan which will meet your specific requirements. Let’s see if Invisalign is right for you and discuss your health fund coverage. Book your complimentary consultation today so we can determine if you’re a good candidate for Invisalign® orthodontics and answer any questions you might have about your specific situation. Love your smile – call (07) 3879 8999 or book your complimentary consultation online now!